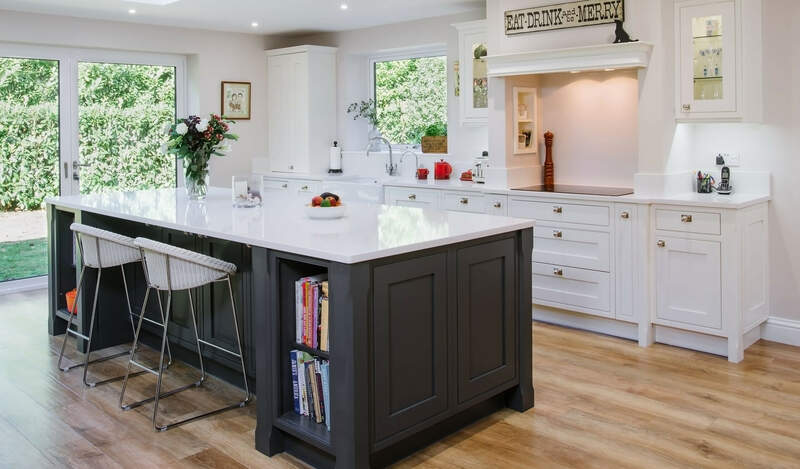 This newly extended home was perfect for the classic in-frame cabinets for this country kitchen design. 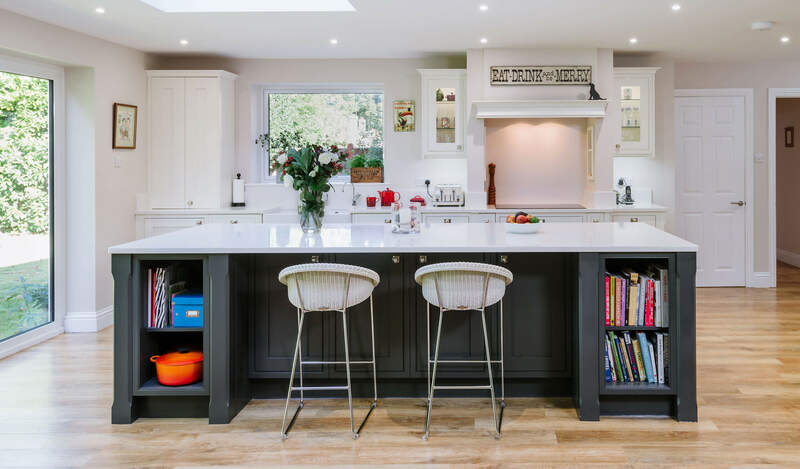 With the two bespoke paint colours giving a contemporary feel, along with the detailed chimneypiece, designed by our team, we created a living space that made the kitchen the heart of this home. 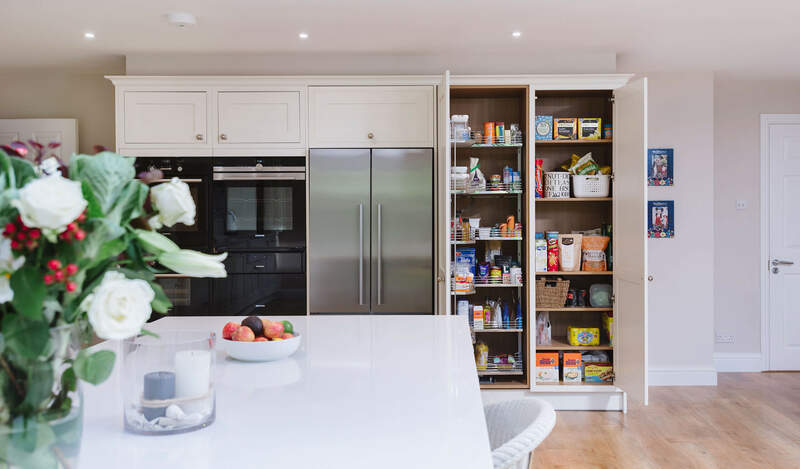 The appliances are all Siemens with the Quooker boiling tap and we made sure there was lots of traditional larder storage. The clever inset shelves in the bespoke chimney is a hidden addition. 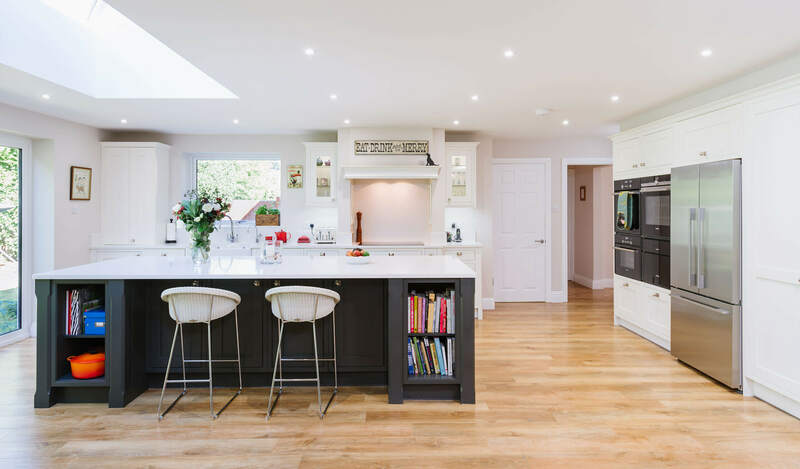 The design of the kitchen was closely worked on with the client to achieve a practical but beautiful space for their home. Using CAD designs we were able to show a digital design in their space that could be changed and amended to work perfectly for their needs.